This product is designed to be used in a soil system as a dry application. Endomycorrhizae have been shown to benefit over 90% of all plants. Mycorrhizae actually increase the surface area of plant roots, which allows the plant to reach nutrients and water that might not be available otherwise. Put simply, mycorrhizae extends the plant’s reach, allowing it to get to more of what it needs to survive. The fungus is actually a network of filaments that grow in and around the plant root cells, as a result they form a mass that extends considerably beyond the plant’s root system. This makes the plant stronger and more resistant to stress. In addition, mycorrhizae even protect their host plant against unwanted pathogens. 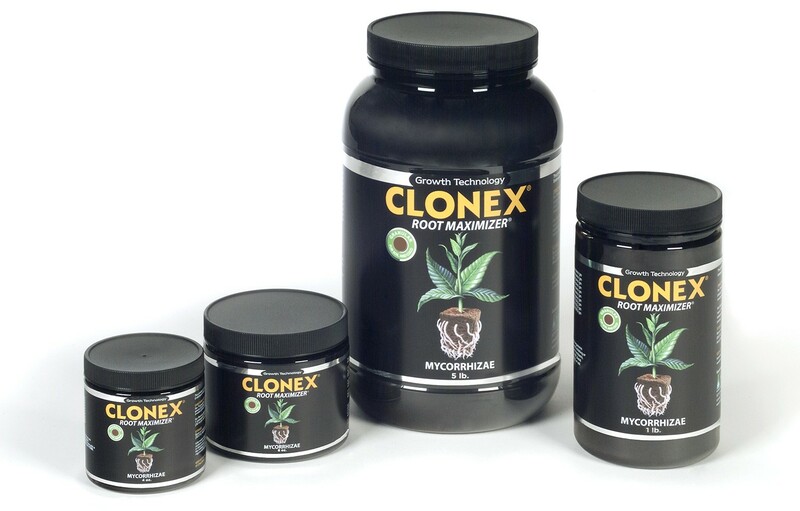 Hence, Clonex Root Maximizer puts life into your soil by adding bountiful amounts of mycorrhizae fungi, beneficial bacteria and Trichoderma that combine to improve the health and vitality of plants. Furthermore, treating your young plants with Clonex Root Maximizer will give them the head start needed to reach their genetic potential leading to better quality and higher yields. Transplants: Apply product directly in contact with plant roots. Larger plants (3 gallon pots and larger) apply 2 tablespoons (30ml) per plant. Smaller plants (less than 3 gallon pots), apply 1 teaspoon (5ml) per plant. Planting Seeds: Apply product in the furrow beneath the seed at the rate of 1 tablespoon (15ml) per row foot, or broadcast at the rate of 2 tablespoons (30ml) per square foot and rake into the upper soil layer before planting. Store in a cool dry place with prolonged temperatures not exceeding 90 F (32.2 C). Avoid direct sunlight. Product should be used in a well-ventilated place.